Finally a repeat orange flowering Sweet Olive! 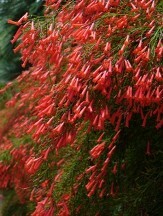 This rare beauty produces clusters of sweetly fragrant soft orange flowers from fall through winter. 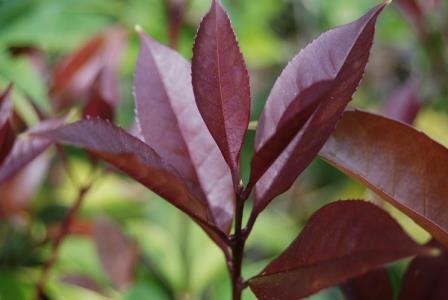 Dark burgundy new growth that is reminiscent of Red Tip Photinia adds to the plants interest. Sweets Olives are easy and reliable, long-lived, large evergreen shrubs with few pests or diseases. Can be enjoyed as a container specimen where not hardy. According to Ted Stephens at Nurseries Caroliniana 'Apricot Echo's' Chinese name is 'Yue Yue Hong' which translates to 'monthly red'. 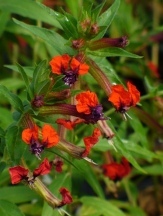 In full sun they may very well produce a 'near' red orange flower color, under light shade they are still a soft orange, in very low light conditions without even indirect sunlight to activate the pigments the flower color can be a very pale orange. Sweet Olives or Tea Olives are easy to grow evergreen shrubs or small trees whose fragrant flowers will often grace your garden from fall to spring. 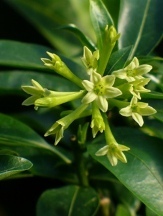 Osmanthus are adaptable to a wide range of soil types from sandy loams to clay but do need adequate drainage for best results. 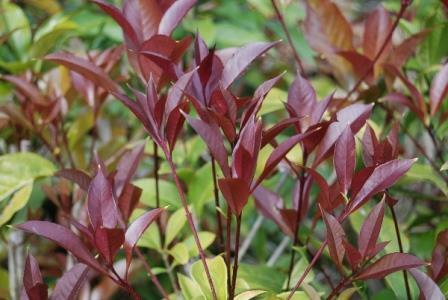 These durable evergreens can be grown in containers and will lend themselves to pruning and shaping. Sweet Olive is a 2009 Georgia Gold Medal Plant selection. To learn more about the search for the elusive red Sweet Olive from Dr. David Creech of SFA Gardens click here or the "More information from Universities, Horticulturists, and Plantsmen..." below. 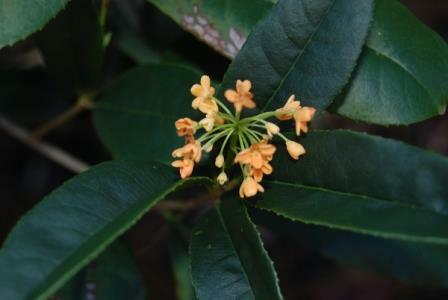 In Japan the orange flowered Sweet Olives or Tea Olives are known as Kinmokusei which translates to gold Osmanthus.